The final seven years I lived in New York my favorite burger and beer joint, named Sunswick, was just down the block from my apartment. The little establishment had the most beers I have ever seen on tap. Trying to drink a glass of all of them in one sitting would most likely have resulted in an arrest or a ride in an ambulance. I loved going there on Thursday nights for karaoke or stopping by before heading home after a night of Big Apple debauchery. 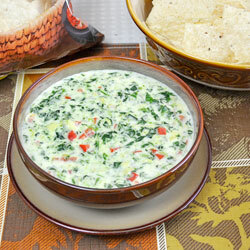 The burgers were the star of their menu, but my favorite item was their spinach and artichoke dip. This recipe is inspired by the Sunswick’s recipe, but it contains my own gourmet twists. I’ve added red peppers, garlic and shallots and I make a cheese sauce from scratch, which provides an extra creamy and cheesy base to bind it all together. 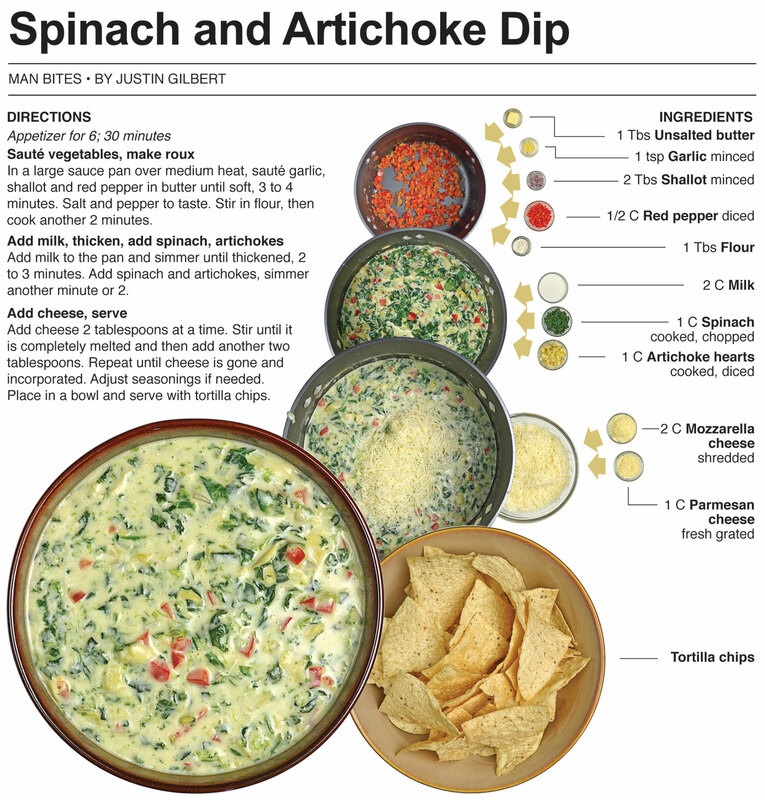 I don’t think I’ll ever be able to eat spinach and artichoke dip and not be reminded of great times at the corner of 35th avenue and 35th street in Astoria, Queens. I didn't enter the competition but my cousin, who was visiting from out-of-town, decided he would give the challenge a try. Long story short, he was kicked out before finishing. *There was one guy at the Sunswick that completed the challenge. I am told he was walked home to make sure he didn’t fall down or take a nap on the stoop of an apartment building, but he completed the challenge and drank for free that night. In a large sauce pan over medium heat, sauté garlic, shallot and red pepper in butter until soft, 3 to 4 minutes. Salt and pepper to taste. Stir in flour, then cook another 2 minutes. Add milk to the pan and simmer until thickened, 2 to 3 minutes. Add spinach and artichokes, simmer another minute or 2. Add cheese 2 tablespoons at a time. Stir until it is completely melted and then add another two tablespoons. Repeat until cheese is gone and incorporated. Adjust seasonings if needed. 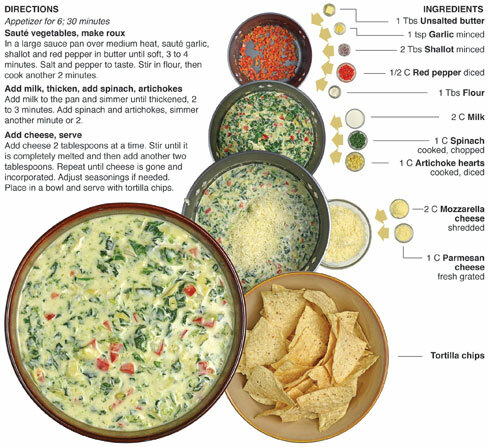 Place in a bowl and serve with tortilla chips. 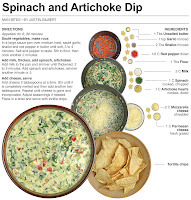 This is a great dip! I'll surely try this as this have spinach, too. Love this for its vitamin k. :) Thanks for sharing Justin!